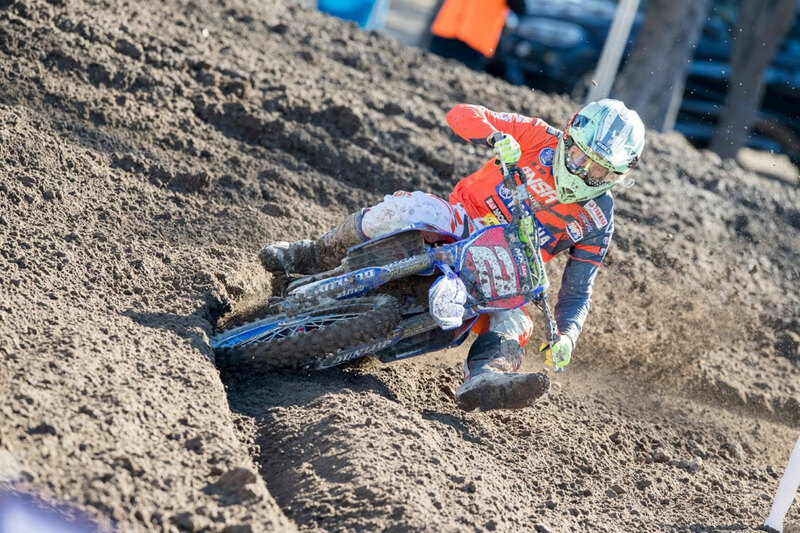 Serco Yamaha’s Wilson Todd maintained his stranglehold on the 2018 MX2 championship after another successful weekend at rounds seven and eight of the MX Nationals held at the MX Ranch circuit, near Newcastle. Todd has moved 57 points clear of his nearest championship rival on the back of a very fast and consistent performance over the double header weekend which saw the North Queenslander stand on the podium for both rounds and continue to set the benchmark for MX2 riders in 2018. Todd started his weekend off in fine style, taking an impressive win in the 30 minute race on a fast and furious circuit. Todd was inside the top three early in the race before quickly moving to the lead and setting off for the finish. He took the race win and looked set to continue the dominance he has in the class. But a poor start in the second leg soon changed things. He was involved in a tight five rider battle for the entire race, all fighting for positions four to eighth. He was able to claw his way to fifth by race end and his 1-5 results secured him third for the round and keep the championship lead well under his control. Round eight featured the back to back seven lap sprint motos with a small break in between. With the track regroomed overnight, the speed was on early and produced some great racing. Todd took another race win to start the round and then finished second in moto two which left he and Dylan Wills tied on points for the day but Wills getting the round victory due to his win in the second and final moto. Still, it was a championship defining weekend for Todd, who despite being challenged, still managed to secure race wins and also stand on the podium for both rounds and increase his lead in the championship. But, there is still two rounds to go and Todd knows there is plenty of work still to happen before the series is over. “It was a lively weekend with the format changes, the track and also being a double header but I managed to get through it pretty well and was able to get a few extra points in the championship, so I can’t complain too much,” Todd explains. “The MX2 field is pretty competitive this year and with the track on the weekend starts were very important as the track speed of the top five or six guys was so close. There was some awesome racing and plenty of bar banging which was fun but the roost killed so it was hard to follow anyone. “The next track we go to is Gladstone and I had my first MX Nationals win there when I was doing MXD back in 2014, so I can’t wait to get back there and hopefully achieve the same success. “Thanks to everyone on the Serco Yamaha team for their efforts on the weekend and hopefully we can stay strong all the way to the final round in Coolum,” Todd ends.